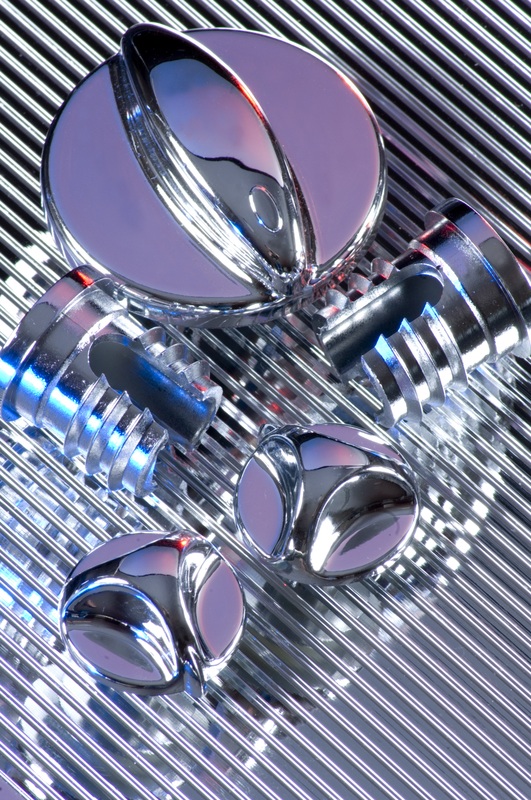 Vacuum Metallising is often referred to as adding the shine to substrates, you can utilise the very same process to create a mirror like affect for any product. 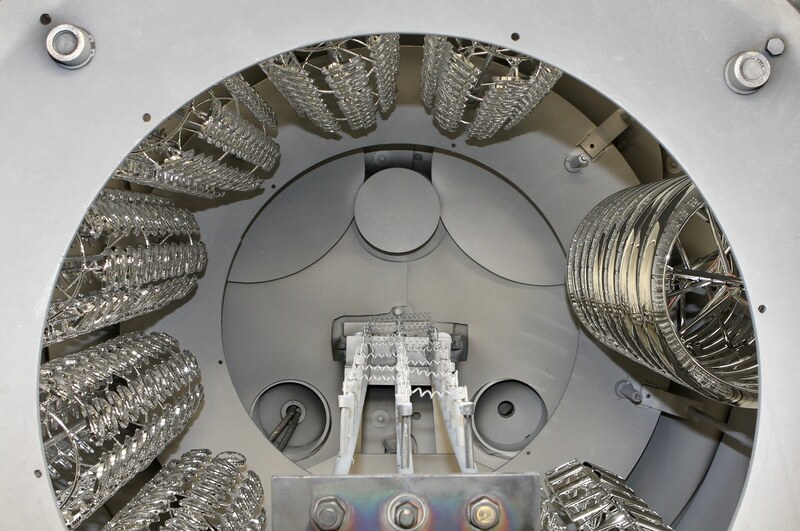 We have the experience and machinery to metallise all types of plastics and most metals. Many customers have their products moulded with us and some of our customers send us pre-moulded items. Pre-moulded items are always tested to ensure they can withstand our metallising processes. Before the substrates are put into the chamber they are prepared by our experienced Operatives. 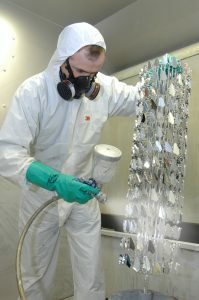 The preparation process may require several hours dependant on the finish of the metal or plastic. Spray the substrate with de-ionised air to remove dust or any interfering particles. Apply a lacquer to create a smoother finish which increases cohesion of the aluminium with substrate during metallising. Stove off the lacquers to cross link for hardness and deposition of aluminium. The key to achieving a smooth finish is ensuring the substrates are not scratched and prepared carefully. 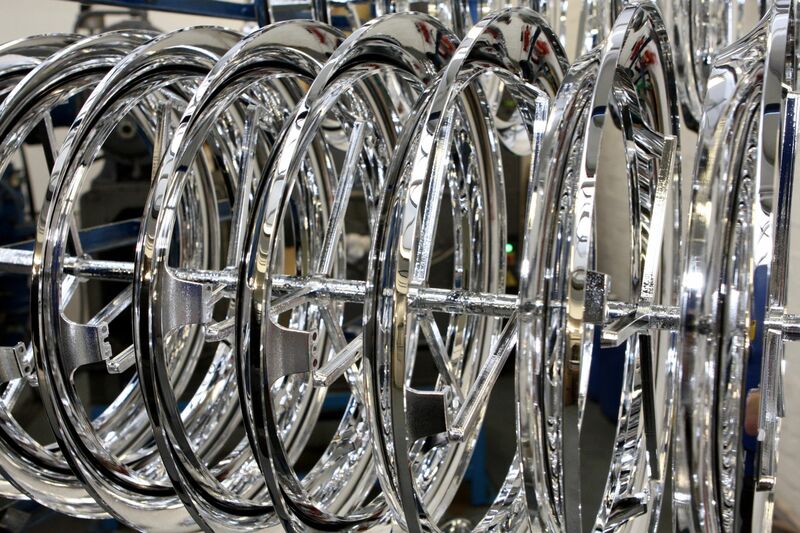 Once metallised a final lacquer is applied to protect the product from oxidation or rubbing off. At the final stage of the metallising process we can change the colour of the product to customers demand. The final lacquer acts as a protection layer however we can apply a coloured lacquer to change the colour of the product. The metallised process provides a base to intensify the colour. 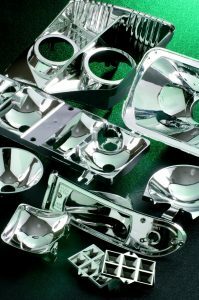 Our finished products require just one layer of aluminium to achieve the silver or mirror like effect. One layer of aluminium is less than a micron thick, to put things into perspective a human hair is 50 microns thick! Metal or mirror based components are usually heavy. By metallising plastic to create a silver or mirror like effect the customer ends up with a more durable and light weight finished product. 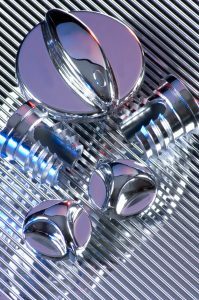 Metallised items are usually used as reflectors for lighting or as decorative and stylish artefacts.